WASHINGTON, Jan. 28 (Xinhua) -- The United States space agency NASA announced Monday that its Parker Solar Probe completed its first orbit of the Sun on Jan. 19, reaching the point in its orbit farthest from our star. Now, the spacecraft, the fastest spacecraft in history, has begun its second orbits on course to the second perihelion or closest approach to the Sun on April 4, according to NASA. 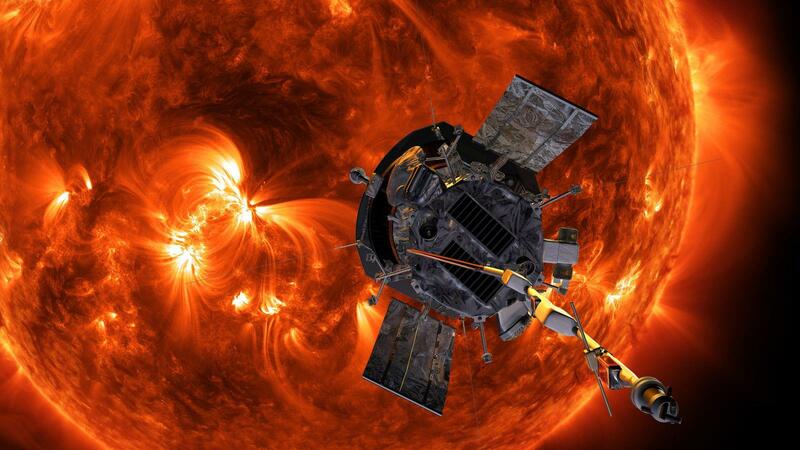 During its mission lifetime of under seven years, the probe will complete 24 orbits of the Sun and fly within 6 million kilometers of the Sun's surface at closest approach. The probe entered full operational status on the new year day, with all systems online and operating and has been delivering data from its instruments to Earth. "We've learned a lot about how the spacecraft operates and reacts to the solar environment," said Andy Driesman from Johns Hopkins University Applied Physics Laboratory, which designed and managed the Parker mission. The spacecraft's solid state recorder is being emptied of files that have already been delivered to Earth, in preparation for that next encounter. Also, the spacecraft is receiving updated positional and navigation information and a new automated command sequence for next month, according to NASA. Its second perihelion in April is expected to bring the spacecraft to a distance of about 24 million kilometers from the Sun, over half the previous close solar approach record set by Helios 2 spacecraft in 1976. This is humanity's first close visit to a star and will revolutionize our understanding of the Sun's fundamental physics, including how particles and solar material are accelerated out into space at high speeds and why the Sun's atmosphere is so much hotter than the surface below.